PhotoDay......Jim Scolman: The Hello Goodbye Viaduct Arts Festival Parade. The Hello Goodbye Viaduct Arts Festival Parade. 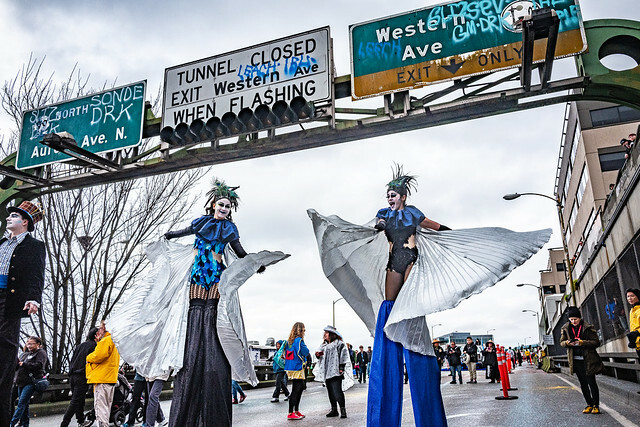 Scenes from the Hello Goodbye Viaduct Arts Festival Parade to celebrate the closing of the Seattle Highway 99 Viaduct in Seattle, Washington, February 2, 2019.